Advanced Battery Technologies (a rather well-known company that specializes in rechargeable battery technology) signed a supply agreement with Jiangsu Duke New Energy Automobile (an unknown to us) for 20,000 battery packs for Jiagnsu Duke’s electric sports car. Jiangsu Duke New Energy Automobile is a high tech company that specializes in research and development, design and manufacture of its Supercar branded electric sports cars. 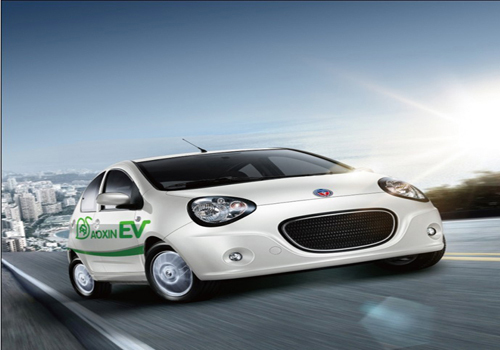 Jiangsu Duke New Energy Automobile’s new energy project is authorized by the China Development and Reform Commission. It expects to produce 20,000 electric sports cars in 2015 and Advanced Battery Technologies will provide the fast charging lithium batteries for all these vehicles. Our search for images of these “Supercar branded electric sports cars” from Jiangsu Duke came up empty. Maybe you’ll have better luck than us. NEW YORK, NY and BEIJING, CHINA–(Marketwired – March 23, 2015) – Advanced Battery Technologies, Inc. (OTC PINK: ABAT), specializing in the design, manufacture and distribution of eco-friendly rechargeable batteries and related light electric vehicle products, today announced that it signed a strategic partnership agreement with Jiangsu Duke New Energy Automobile Co., Ltd to supply its fast charging lithium batteries for Jiangsu Duke’s 20,000 electronic sports cars in 2015. Advanced Battery Technologies, Inc. (ABAT), with executive office in Beijing, China is committed to the clean energy industry. With three manufacturing subsidiaries in Harbin, Wuxi and Dongguan, China, ABAT engages in the design, manufacture, marketing and distribution of rechargeable polymer lithium-ion (PLI) batteries and related Light Electric Vehicles (LEV’s) products. 10 Comments on "Advanced Battery Technologies To Supply Batteries For 20,000 Jiangsu Duke Electric Cars In 2015"
A battery company I’ve never heard of will supply batteries to a car company I’ve never heard of. China really is a whole new world. OK, I have heard of ABAT because they trade on US stock exchanges. Current share price: 25 cents. I found Jiangsu Duke’s website. and there are pictures of their cars. Most are little trucks, but this one is under “Special Car”. Not sure if it’s the one they are talking about though. What makes you think that is the Jiangsu Dukes website? If that is true then we’ve seen the car already. Because the front of their building says “Jiangsu Aoxin New Energy Automobile Company”. And they build EVs. And we thought that BYD photoshop job was bad. Don’t miss the video on this one, seems to show the production of their current EV’s and buses. In your link they reference my earlier link as Duke Jiangsu. From the rather bare website, it looks like the company makes miniature trucks, something like the vehicles known as “utility vehicles” here in the USA. Perhaps slightly larger, but it looks to me like these EVs belong in the category of NEVs (Neighborhood Electric Vehicles), rather than full sized vehicles.